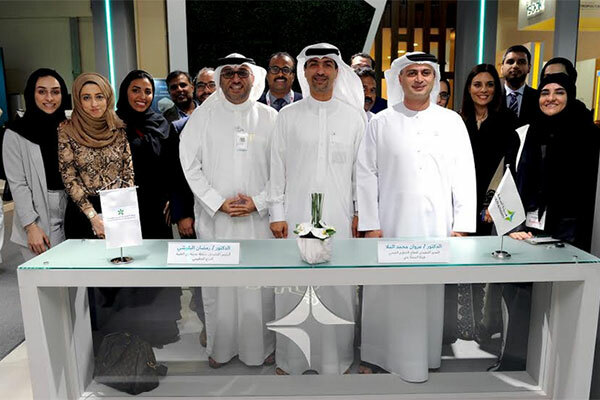 The Dubai Health Authority (DHA) and Dubai Healthcare City Authority - Regulatory signed an agreement during the ongoing Gitex Technology Week 2018 to link the licensing data of health professionals using Blockchain. Dr Marwan Al Mulla, CEO of Health Regulation, DHA and Dr Ramadan Al Blooshi, chief executive officer of Dubai Healthcare City Authority – Regulatory, signed the memorandum of understanding (MoU) to link DHA’s Sheryan smart licensing system and Dubai Healthcare City Authority’s Masaare-services portal through the Blockchain network for licensing health professionals. The MoU will allow for the exchange licensing data for health professionals to improve services and facilitate licensing and transfer of health professionals' license in the Emirate of Dubai. Both parties will identify the list of common services, procedures and data to be linked electronically via Blockchain to improve the services provided to health professionals. Dr Al Mulla said electronically linking the data of healthcare professionals in Dubai unifies policies and simplifies procedures related to the licensing of healthcare professionals, enhancing efficiency and reducing costs. Dr Al Mulla added that the Dubai Healthcare City Authority is one of the strategic partners of the DHA, adding that the authority is keen to strengthen its relations with all of its strategic partners in public and private sector to continue to provide the people of Dubai with quality health services. Dr Al Blooshi said: “This agreement, the latest with DHA, our strategic partner in developing the health sector in the emirate of Dubai, will help us to collectively tap into the new opportunities that Blockchain technology is opening. Sheryan enables health professionals to complete the process for obtaining licenses to practice in Dubai, from any country around the world. Masaar e-services portal caters to a comprehensive range of services in line with Smart Dubai initiatives. It is integrated with Government and Non-government agencies and offers unique features for business partners’ portfolio, e-payments and application tracking system.